Mr. Kelly has practiced corporate, transactional, fund and banking law for over 30 years at the most sophisticated levels. He has worked on a wide variety of complex transactions aggregating in value over $10 billion. He has handled multi-billion dollar mergers & acquisitions, asset deals, stock purchase and sale transactions, and private stock and debt offerings. Mr. Kelly has extensive experience with compliance and regulatory matters for hedge funds, private equity funds, banks, and other financial institutions. His experience includes compliance programs, compliance training, compliance testing, compliance manuals, AML/KYC, surveillance, valuations, business continuity plans, advertising and sales, trading and other compliance matters. His fund work also includes both onshore and offshore fund formation, trading, client relations, administration and operations. Mr. Kelly has drafted a wide array of fund documents, including Limited Partnership Agreements, Operating Agreements, Valuation Policies, Investment Management Agreements, Managed Account Agreements, Administration Agreements, Compliance Manuals and Codes of Ethics. Mr. Kelly began his practice in New York with Skadden, Arps, Slate, Meagher & Flom, then served as a Partner at Silver, Freedman & Taff, a leading corporate boutique representing banks and other financial institutions. Mr. Kelly then joined the New York office of Proskauer Rose LLP. Mr. Kelly left Proskauer to pursue various entrepreneurial opportunities, and to serve as Of Counsel to Pastore & Dailey LLC. Mr. Kelly received his B.A. with High Honors from the University of Virginia in 1979 and J.D. from the University of Virginia School of Law in 1983. 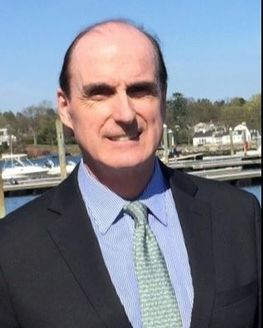 At the University of Virginia School of Law Mr. Kelly served as an Assistant to Professor Ernest Folk, a primary drafter of, and commentator on, Delaware corporate law. Mr. Kelly is a member of the New York and District of Columbia Bars.